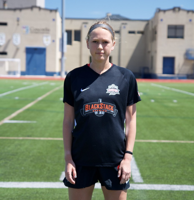 Sarah Krause, Cleveland Ambassadors, Forward — Scored the match's only goal in a 1-0 victory vs. Motor City FC on June 23, a match between the top two clubs in the conference. Senior at the University of Pittsburgh. Rebecca Raber, SUSA FC, Center Back — Scored two goals (penalty kick and unassisted corner kick) during SUSA's 4-0 win at Rhode Island Rouges, putting the club in prime position to win the conference. Raber played four seasons at Binghamton University. Madison Haley, FC Dallas, Forward — Made an impressive 2018 WPSL debut with seven goals and two assists in her first three matches. Sophomore at Stanford University. Emily Sullivan, Fire 98 SC, Forward/Defender — Scored two goals in a three-minute span in a 6-1 victory at Minnesota TwinStars on June 25. Showed versatility playing both forward and defensive back positions during the match. Junior at University of Wisconsin - Eau Claire. Eva Castano Candela, FC Surge, Forward — Scored four goals with two assists in two wins, including the match-winning goals in both. Scored twice in a 3-2 win at Team Boca Blast on June 20, and had two additional goals with two assists in an 8-1 win at Puerto Rico Pride on June 23. From Huelva, Spain and is a senior at St. Thomas University. 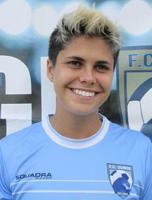 Chrissy Gratz, FC Surge, Forward — Hat trick with three assists in an 8-1 victory at Puerto Rico Pride on June 23. East Carolina University alumna and nine-year WPSL veteran. Chloe Frisch, San Diego Parceiro Ladies, Midfielder — Scored two goals during a 4-0 win vs. Phoenix Del Sol on June 23. Sophomore at San Diego State University. Emma Pringle, TSS Rovers, Forward — Scored another hat trick, this time in a 6-3 win vs. ISC Gunners FC on June 24, to earn her second WPSL Player of the Week recognition. Sophomore at Simon Fraser University.